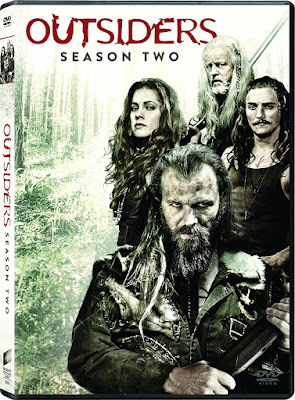 But at the same time that “Outsiders” is frustratingly asinine, I couldn’t help but continue watching. Every so often there is the promise of an exciting development, and occasionally it even pays off. The rest of the time, characters suddenly change their stripes completely, teaming up with sworn enemies in order to back-peddle and avoid conflicts that would lead to resolution, once again making this a frustrating guilty pleasure. They apparently tried too hard to drag out the narrative ridiculously in this season, to the point that it was not renewed for a third season. “Outsiders” follows an isolated clan with the one-the-nose name of Farrells, living in the hills of Appalachia undisturbed until a coal company decides that it wants the bounty beneath their home. The impoverished town below is split on the decision, some of which are eager for the jobs while others resist the environmental destruction that it would bring. The first season followed one of the Farrells who had returned home after a decade in the real world, but he is senselessly dispatched in the first episode of season two, just as the villainous leader he killed (David Morse) is inexplicably brought back to life with a humble attitude. Instead, the show’s second season shifts focus to the other supporting characters as a way of distracting from the fact that it has undone much of what was established in the first season. Any time they want to make a bad guy good, they just introduce someone worse, like the all-female clan that is led by a woman with an inexplicable (not to mention inconsistent) Irish accent. The only good thing about the splintering of “Outsiders” narrative is the fact that it allows for some variation as a distraction when one or more of the storylines aren’t working. The season begins with Li’l Foster (Ryan Hurst) being arrested for a murder committed by his father (Morse) in the first season, and his incarceration provides one of the season’s more interesting stretches until an outlandish escape cuts it short. Hasil (Kyle Gallner) also leaves the clan when he discovers that his town girlfriend (Christina Jackson) is pregnant, which eventually leads to a ridiculous MMA subplot. But at least Hasil remains consistent, whereas the rest of the characters seem to switch between being good guys and bad ones, depending on the episode. If the show were only to focus on Hasil and the small-town sheriff, Wade Houghton (Thomas M. Wright), it would be far stronger. The DVD release includes all 13 season two episodes on four discs. The special features have a whopping 29 deleted scenes, for anyone actually lamenting the end of the show or longing for more silly material.